Luckily I do not smell poison. Oh no, beautiful birds without poison. The poison is not a good idea... 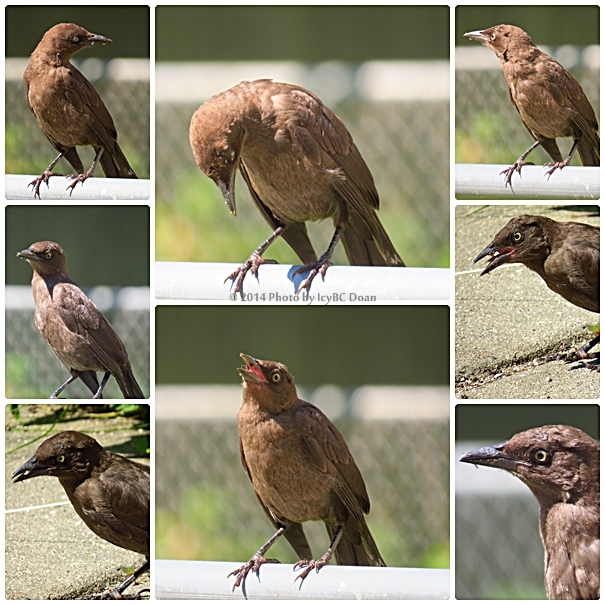 I know no one wants to see the rats though.. Great shots of your grackle..the birds will find natures food and seeds for now.. Thank you for sharing your post with my critter party.. Have a happy weekend! I hope the birds do not get poisoned. These are great shots of the Crackle. Have a great weekend. oh, dear!!! the poison sounds worse than the rats! She's a beauty! They say we have rats around our tard too although I haven't seen them. They've put out traps here. She's lovely! Too bad about the poison, it's not just the rats that will eat it.